Tek-Connect worked with Balanced Image to deliver an iPad ergonomics assessment app for employees of the world’s largest social media network. 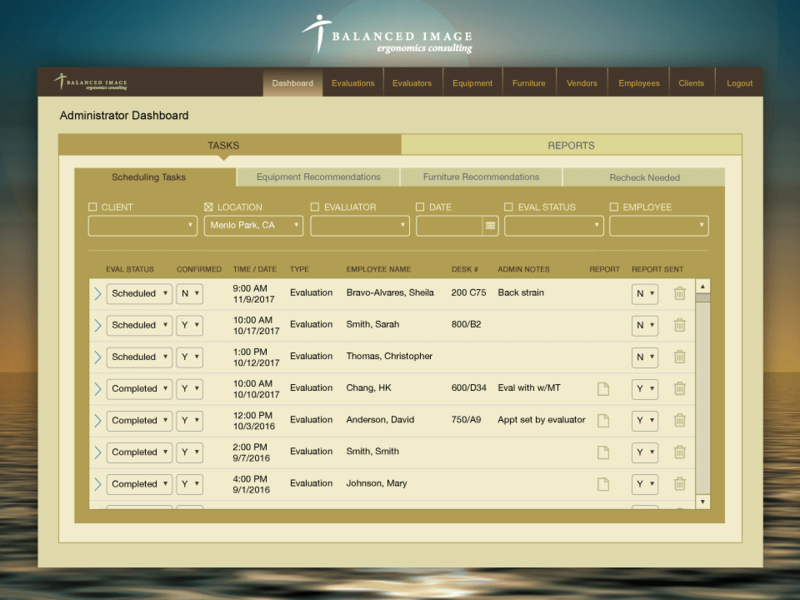 As Balanced Image’s consultants reviewed employee work stations at the company’s campuses, they entered data live on iPads that then tied in with their facilities and space planning tool. The ability to enter data directly (rather than using paper-based clipboards) saved countless hours of data entry and provided consultants with immediate information from the facilities department. Using REST API web service calls, the lightweight iOS app could communicate immediately with Archibus and provide consultants with information on employee locations, department affiliations, any special needs required, and more. Likewise by immediately recording the assessments, the app allowed the facilities team to efficiently meet legal and HR requirements.